DECATUR, IL–As part of the state’s on-going commitment to reduce nutrient losses, the directors of the Illinois Department of Agriculture (IDOA) and Illinois Environmental Protection Agency (EPA) announced today the release of the state’s Nutrient Loss Reduction Strategy Biennial Report. This document, unveiled at the 2017 Farm Progress Show in Decatur, Illinois, describes actions taken in the state during the last two years to reduce nutrient losses and influence positive changes in nutrient loads over time. The Illinois Nutrient Loss Reduction Strategy (NLRS) is one of many state strategies developed and implemented over the 31-state Mississippi River basin that are intended to improve water quality. Illinois’ strategy provides a framework for reducing both point and non-point nutrient losses to improve the state’s overall water quality, as well as that of water leaving Illinois and making its way down the Mississippi River into the Gulf of Mexico. The biennial report contains an update to the original science assessment including nutrient load data from 2011–2015 for both point and non-point sources as well as sector-by-sector reports on activities conducted during the last two years targeted at nutrient loss reduction. The report also contains information from a recent survey conducted by the United States Department of Agriculture National Agricultural Statistics Service as well as data from other existing sources to serve as metrics to measure progress towards overall water quality improvements now and in the future. The Agriculture Water Quality Partnership Forum (AWQPF) reports that the agricultural sector invested more than $54 million in nutrient loss reduction for research, outreach, implementation and monitoring. These contributions have come from AWQPF members and other organizations that are working towards reaching the goals set forth in Illinois NLRS. Because of the proactive measures of various agriculture groups, Illinois farmers have become broadly aware of a variety of strategies that mitigate nutrient loss through the adoption of best management practices. Highlights include a move toward split spring and fall nitrogen applications and an increase in the number of acres dedicated to conservation practices such as a use of cover crops. Since the release of the strategy two years ago, significant strides have also been made in limiting the amount of phosphorus discharge from wastewater treatment plants in Illinois. In the last year, point source sector members targeted key decision makers and practitioners to spread the message of nutrient loss reduction through regulatory updates as part of the National Pollutant Discharge Elimination System (NPDES) program. As of 2016, nearly 80 percent of all effluent from wastewater treatment plants in Illinois is regulated under a NPDES permit that includes a total phosphorus limit. This number will continue to grow as existing permits expire or come up for renewal. To demonstrate the commitment toward nutrient removal, wastewater treatment facilities report spending $144.96 million to fund feasibility studies, optimization studies and capital investment. 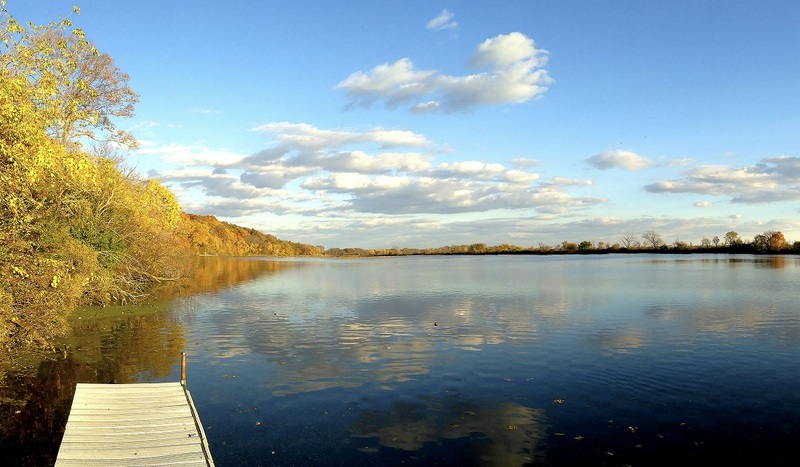 Illinois EPA, through its State Revolving Fund program, provides low interest rate loans to point-source projects addressing water quality issues, including nutrient pollution. Last year, Illinois EPA provided or granted $640,599,148 dollars to these projects. Illinois EPA also provides funding for nonpoint source projects designed to achieve nutrients reduction. Annually this program provides $3.5 million to nonpoint source projects. This report, which was facilitated by IWRC and IISG, will be updated again in 2019. The science, monitoring and activity from each sector will be updated to demonstrate Illinois’ continued commitment to nutrient loss reduction. This article is based on a press release from IDOA and Illinois EPA. Contacts are Rebecca Clark (217) 558-1546 and Kim Biggs (217) 558-1536.